All pump pressures like discharge pressure, vacuum etc. are digitally displayed. 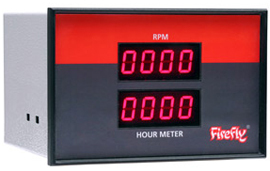 Digital pump running hour meter, allows you to carry out scheduled maintenance work of pump & PTO at right intervals. 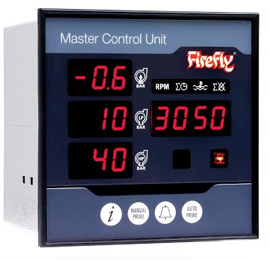 Pump oil temperature indicator with high temperature audio & video alarm. Illuminated keys for Auto & Manual priming mode selection. Auto prevention for use of primer above 2500 RPM. Emergency bell key on panel. 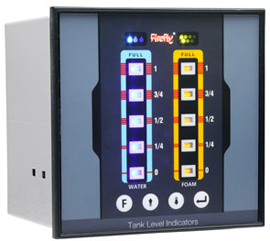 Auxiliary display unit can be fitted in drivers cabin if required. Audio/ Video signal is given once water/foam tank level is below 25% of total volume which help to avoid dry running of the fire pump.